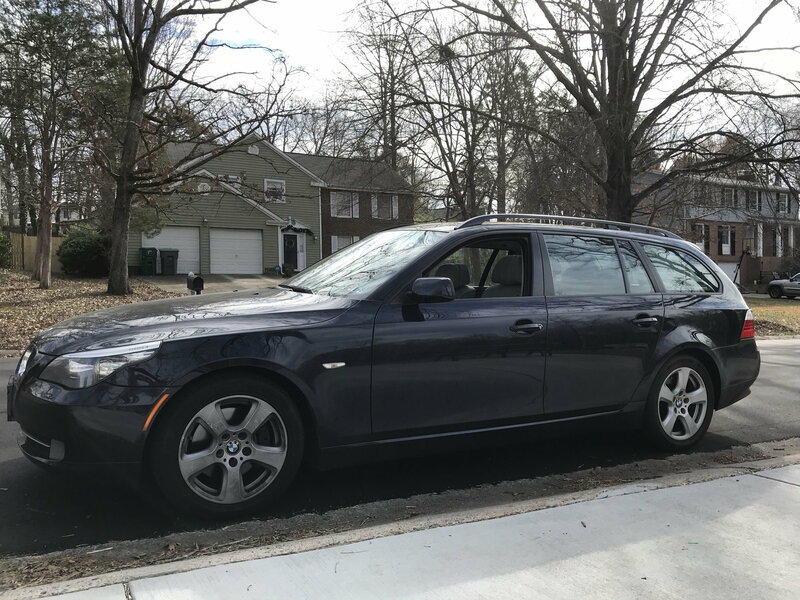 Super Rare E61 Wagon with six speed manual and N54 twin turbo. Monaco Blue with Grey sport interior. 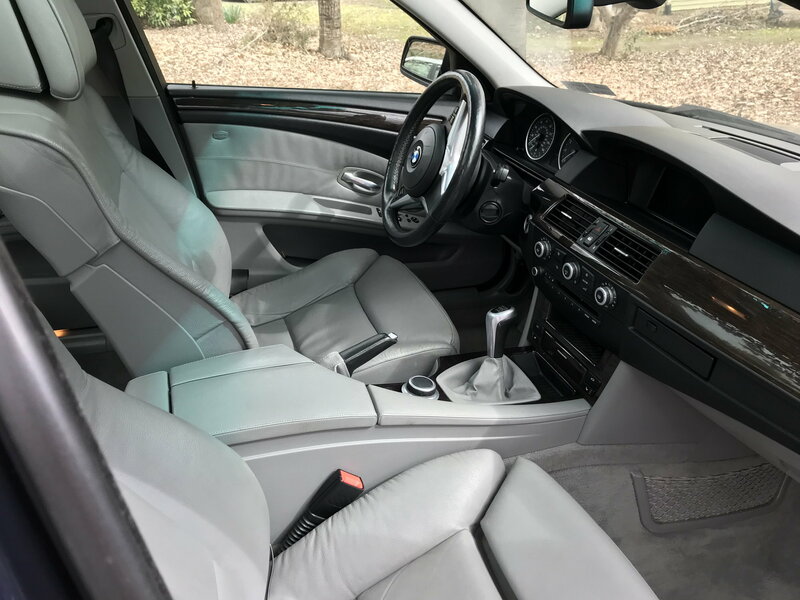 Sport wheel, multi contour seats and cold weather package with heated seats (front and rear). Bone stock except for MHD stage one tune Car runs very well and strong. Clean Carfax (attached below). Car was CPO and dealer serviced through 100K. Car is not perfect and has some scratches /dings and needs work on rear hatch (have manual struts for conversion if new buyer chooses that route) but presents well and is a great driver. Last edited by Cooterjay; 02-10-2019 at 06:05 PM. 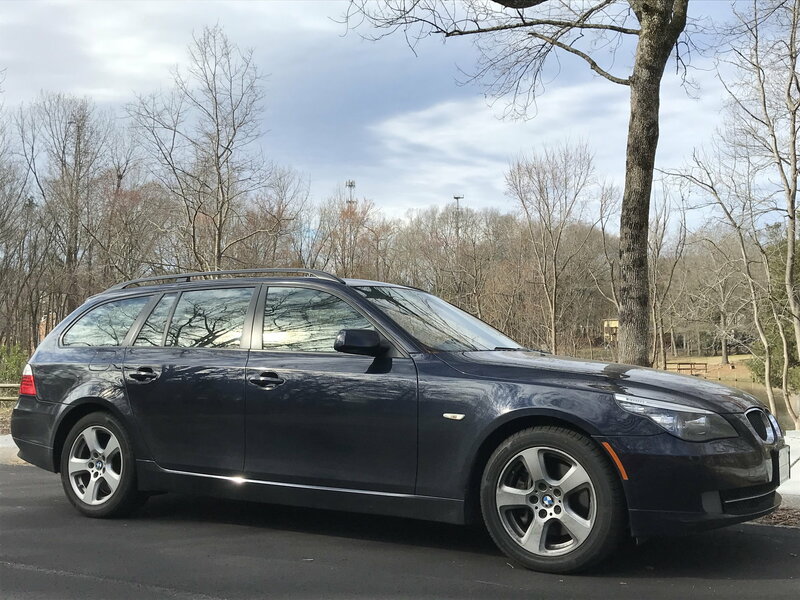 2008 E61 535xiT 6 speed manual twin turbo wagon!! !